For many people, television is still the main form of entertainment. The elderly population, in particular, spends much time at home and uses the television for companionship and entertainment. However, in some countries, due to low education level or the absence of it, to physical limitations and/or cognitive difficulties, to the lack of prior knowledge, among other difficulties, part of the elderly viewers do not enjoy enough the programs to have satisfaction with them. With the interactivity provided by the Digital TV, additional information may help the elderly viewer to better appreciate television programs and have more fun. 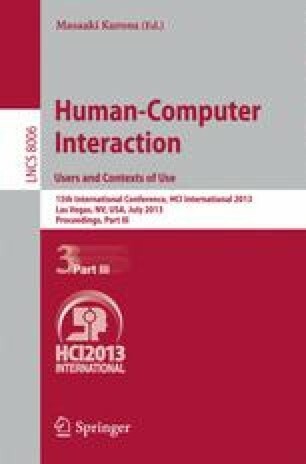 This paper presents data from an observational case study conducted in the Brazilian scenario to analyze the interaction of elderly viewers with TV programs enriched with additional multimedia content in different formats. From the experience, some good practices for the design of additional multimedia content to the elderly viewer were formalized.